Star Wars Celebration has given us a new look the return of The Clone Wars. This weekend has been a big one for Star Wars fans with The Rise of Skywalker trailer and title release, The Mandalorian first footage and images, Fallen Order game trailer, Galaxy's Edge preview, and much more. 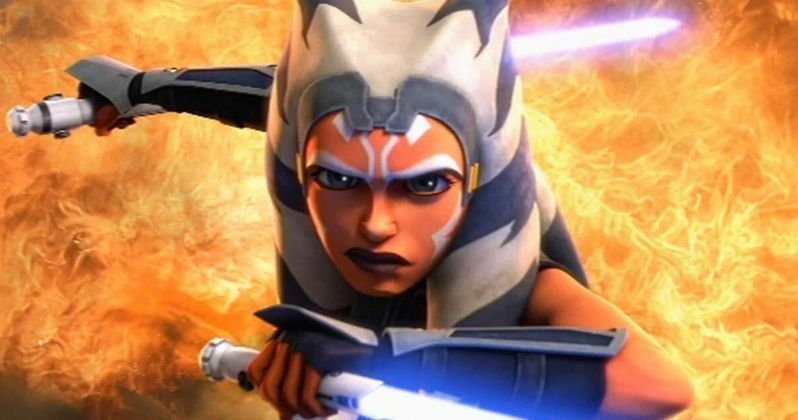 However, there are a lot of fans who have been patiently waiting for an update on the 12 new episodes of The Clone Wars that were first announced at San Diego Comic-Con last summer. Star Wars: The Clone Wars producer Dave Filoni celebrated the 10th anniversary of the fan-favorite series last summer at San Diego Comic-Con and nobody expected hum to announce he was going to bring the show back after it was unceremoniously canceled back in 2013. Nobody ever thought it would happen, including Filoni, who admits that the show has grown in popularity over the years, thanks to the rabid Star Wars fan base who are eager to fill in some timeline gaps between Attack of the Clones and Revenge of the Sith. We were treated to a brief teaser trailer for The Clone Wars last summer, but we have been in the dark ever since then. Thankfully, Dave Filoni has treated us to some new information about the highly anticipated series, which will stream exclusively on the Disney+ streaming platform, like The Mandalorian series and the Rogue One prequel series. Warwick Davis came out on stage to reveal the extended footage at Celebration and the fans went crazy. Yoda starts off The Clone Wars footage by saying, "begun the Clone War has" and we see Darth Vader teased along with Emperor Palpatine and Ahsoka Tano. Anakin is getting closer to the Dark Side and the action looks intense. Star Wars fans are finally going to see how everything ends and the way producer David Filoni always wanted it to end. There will be 12 final episodes instead of the usual 22, but nobody is really complaining since it didn't seem like this could ever happen. It's been a great weekend at Celebration in Chicago. There's a lot to look forward to for Star Wars fans at the moment. The big screen will be taken over by The Rise of Skywalker in late December and The Mandalorian will take over right before in November with the launch of Disney+. While some fans will complain about fatigue, the big screen projects are taking a bit of a hiatus, while the small screen is about to flourish. The first footage from The Mandalorian absolutely brought the house down at Star Wars Celebration and The Clone Wars did the same. Hopefully we get a release date for the return of the animated series in the near future. Hopefully Star Wars will release the extended clip in the near future. However, you can head over to the live YouTube stream and rewind.